Chiropractic care is a conservative, gentle, and very successful option for treating infants with colic. Colic. One of the worst words a parent of a newborn can hear. Your baby cries for hours on end and there is nothing you can do about it. What’s worse than the disturbing, high pitched screaming that doesn’t stop and has no apparent cause, is the fact that there is nothing you can do to help your child when it sounds like they need help the most. It’s heartbreaking to hear your baby screaming like it’s in pain, and being able to do nothing about it. Well, almost nothing. This is where chiropractic comes in. If your baby experienced a longer pushing stage, or any type of assisted delivery (i.e. – forceps, vacuum, etc.) there is a good chance that they have subluxations. Babies with significant enough subluxations, or subluxations in certain areas, may have big problems, and they can’t tell you about them. Because of these subluxations, major systems in the body may not function correctly, such as the digestive system, and your baby may not be able to digest breast milk like he or she should, possibly causing gas and bloating. The flexed legs, clenched fists, and tensed abdominal muscles point to a pain in the abdominal region, but that hasn’t been proven. Studies done at the University of Southern Denmark have reported that colicky babies who received chiropractic care cried far less than those receiving the standard gas drops prescribed by medical doctors. This study was done on behalf of the National Health Service, and found chiropractic to have no negative side effects on infants, which is “standard” for chiropractic! Another study was done in South Africa, by Mercer and Cook. In this study, 30 infants who were medically diagnosed as having colic, were randomly divided into two groups. One group received chiropractic care while the other did not. Each infant in the study was 0-8 weeks old and diagnosed with colic by a pediatrician. For this study, the group who received chiropractic care received it for two weeks with a six adjustment maximum. The results were impressive. In the group who received chiropractic care, 93% had completely resolved symptoms in just the two week period. A little shorter than the “wait 3 months for it to run its course” plan that most medical doctors will tell you. Something even more impressive was the one month follow up assessment. 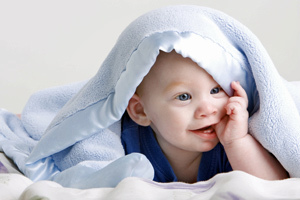 The infants who received chiropractic care had seen no symptoms one month after receiving chiropractic care. Chiropractic care is a conservative, gentle, and very successful option for treating infants with colic. Chiropractic adjustments for infants are specific, gentle, and safe. In the hands of an experienced chiropractor, many infants sleep right through the adjustment. An infant adjustment utilizes no more pressure than someone applying make up to their face. Next time you are told “there is nothing you can do except wait it out,” just smile, nod, and bring your child right to the chiropractor, because a healthy baby makes a happy home.